Seduced By Books: Scott Nicholson Blog Tour and Kindle Giveaway!! We're so excited that Scott Nicholson is here with us today. Read his post below to learn a bit about him and his books, as well as how to enter the awesome Kindle giveaway that he's doing with his blog tour! As if that giveaway isn't enough, he's also doing a bonus giveaway with us. You can win a signed copy of Thank You for the Flowers, a collection of his short stories. To enter, leave a comment below. For an extra entry, follow us on Google friend connect. The book contest will end Monday, 11/15/10 at midnight (EST). Winners will be chosen on Tuesday. Full details on Scott's Kindle giveaway in his blog post below! Success for writers gets really squirrelly. Rankings, ratings, reviews, book advances, agent names, industry mentions, peer perspectives, and so much noise noise noise that sometimes you can’t tell your place in the universe anymore. And, to judge by all the noise, your needle on the hype-meter is the sole measurement of where you are. And what you are. And who you are. I’ve definitely had my ups and downs, both externally and internally. I went from a guy whose first book was an alternate selection of the Mystery Guild (the mail-order book club, for those who remember the pre-Kindle days), to a guy whose books went out of print almost as fast as they rolled off the press. I went from a guy with an agent at one of the Top Three agencies in the world to a guy who couldn’t even get agents to bother responding to a query. I went from a Nobody to a Top 30 Amazon Kindle bestseller. And I’m almost certain to be a Nobody again at some point. And I am almost certain to be exactly the same person, doing the same things, writing the same stories. That’s really the only connecting link and common denominator, besides the loyal core of readers who travel with me. “Success” as measured by outside observers is a loaded term and attracts weird energy. 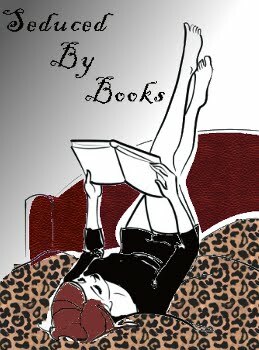 When I first started self-publishing on Amazon, I’d write “reviews” of my own books, telling funny stories about the book. Someone ratted me out to Amazon—I didn’t know it was against the rules and it wasn’t like I was trying to trick anybody by pretending I was a real critic with a false name. Others have told me a lot of people are watching my indie efforts and blog tour, because I am charting a crazy new course. Some will be jealous because they think I am having the success they deserve. Others will support me because they see, like I do, that more people reading good books means more people wanting more good books. I haven’t been successful at all. What has been successful is the accumulation of book bloggers, partners like Amazon, Kindle Nation Daily, Dellaster Design, Stephen and Neil at Ghostwriter Publications, my supporters that I consider “friends” instead of “fans” or “followers,” and a handful of books into which I poured my heart and talent. Current 99-cent specials are As I Die Lying and Disintegration. For every book of mine that hits the Top 100 during the tour, I will throw in an extra Kindle 3 giveaway. Tell your friends. Amaze your neighbors. Shock your therapist. Scott Nicholson is author of 12 novels, including the thrillers Speed Dating with the Dead, Drummer-Boy, Forever Never Ends, The Skull Ring, Burial to Follow ,and They Hunger. His revised novels for the U.K. Kindle are Creative Spirit, Troubled, and Solom. He’s also written four comic series, six screenplays, and more than 60 short stories. His story collections include Ashes, The First, Murdermouth: Zombie Bits, and Flowers. Don't forget to visit the other blogs on his tour for more chances to enter his giveaway! I love how you talked about your success. I also loved how you said that you were a Nobody once and will eventually be a Nobody again. I just think it's so honest to look at it in that way. One minute you can be on top and the next your not. I hope that you have lasting success with your novels and I hope that you keep making your readers happy! "...and so much noise noise noise..."
Zowie! You were obviously channeling Suess' Grinch there. And that was somehow appropriate because, instead Christmas, you are the Grinch who stole GOATmas!! "I’m almost certain to be a Nobody again at some point." I'm so glad you have set such lofty goals. You are almost certain to meet them... When does this blog tour end? Nov. 30? "Some point" may be Dec. 1st. But I'm sure your Amazon review spy never dreamed you'd last THAT long! Keep on plugging away, show that Amazon spy creep up and stay semi-famous as long as possible...at least until Dec. 2nd or so. So the Amazon police are rousting you and your family? Just beware if there is a knock at your door and a couple of guys tell you they need to speak with you and ask you to come with them. In all honesty, I had wondered where some of your reviews went. I noticed the numbers were less when I dropped by the other day. I had no idea your wife, who read the books, was not allowed to comment on your work. Very peculiar. Sounds like you've got a good head on your shoulders about this "fame" thing. Good going! Your wife is not allowed to write a review? That is silly indeed. I wonder if ex-wives are allowed to write nasty reviews? Would they pull them as well? It also means you are being noticed by a wider public and that's good and it shows that "being out there" may bring with it some problems and challenges. 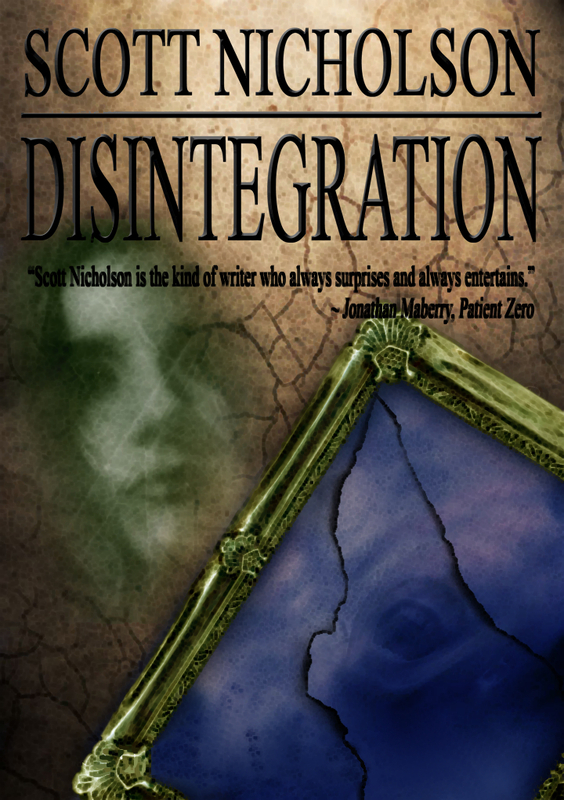 I am excited that Disintegration is doing so well. I hope the same will happen to "As I Die Lying"--one of my favorites. I think being an author has to be tough business, but luckily you have us wonderful bloggers to read and review (and post reviews on amazon!) to help with promotion. I think it's pathetic they pulled your wife's review though. If it says that she's your wife then there's no deception. The reader can think whatever they'd like to think. But whatever. Keep writing Scott. I'm reading "Speed dating with the Dead and its fabulous. Great post here. You have a way with words. I love your blogs, Scott. Your intelligence and conviction always shines through, and I think that you have definitely made some new fans over the past few months. You can count me as one of them! Yea, that's the crab theory --- pulling you down by attacking your wife's reviews. Hmmmph. Am amazed at how many different points you've made the past several weeks guest blogging --- nary a repetition! and I'm an old follower of this blog --- for the book giveaway entry (wink) Even though I already bought the book for my iPad Kindle. Why shouldn't the author and his family participate in the reviews as long as there's no deception? Reviews are part of the dicussion afterall. I love the whole ebook and indie concept that gives the opportunity to "be someone" to anyone who makes the effort. Self publication has always raised questions. Such publication used to be called Vanity Press and may still be for all I know. Pay to see your work in print with no quality control. The fact that you were published and were well received, puts that concern to rest. The e-publishing industry has made self publishing much easier, but has brought with it its own share of problems. Houses have opened and closed in short order and their authors have not gotten paid for the books they did sell. The publishing business as a whole is having problems with the economy in the shape it is. I find it interesting that someone is "following" you and either complaining or reporting what they feel are offenses. You would think they had better things to do with their time. Good luck with the tour and your books. some people (shakes head). Your tour is getting near the end! When this is over, how long will it be before you want to go on the computer again ? I can't believe someone would rat you out for writing in your own review section, never mind ratting out your wife. Wow. The Internet and the annonominity it provides, has really changed the way people react and interact with each other - and in many cases, for the worse. I bet whoever is the Rat wouldn't have said anything were he/she standing next to you at the time, or if they had to actually give their real name or show their face. It's a sad state of affairs if you ask me. Don't forget to check out my HUGE Bday giveaway. Scott, a man in your position must wear many (different-sized) hats. Count me in for the Kindle! I'm surprised at the complaint, but agree with your wife's assessment. I'm glad to see you succeeding Scott and I hope your future is a glorious one in the writing industry. I'm still trying to break in myself because I feel I have to have a fan base to begin, and i'd secretly really like to see my books in a booksellers window or on a shelf. Without it, I don't know if I would be happy where I was at, even if it was in the top of Amazon's ratings and best sellers list. I guess I still need a little bit of validation to stop second guessing my writing ability quite as much. I know I will make it sometime, but until then I'll enjoy a bit of your success vicariously, at least so far as my own self esteem goes. Good luck and keep up the hard work. Glad your books are doing so well. Seriously, who has time to be an Amazon cop? Great post Scott - Hope to see you on the next stop of your tour. I don't know what the big problem is...I have enjoyed hearing what you think of your own writing and your being able to put things in context for us during this tour. Why not let the author review his or her own book? As for self-publishing, I like knowing that I am no longer limited to what someone else (editor, agent, anyone really) decides is worthwhile (economically, morally, whatever) to limit my freedom to read what I want to read. Individuals, in the very recent past, could wield the power of life or death over a story, book, work. That's scary power. Thanks Scott for becoming real to me and thank you Amy and Jennifer for hosting today. Hey, you're getting closer to the end of the tour, but I know you won't be done. It's been fun following you on tour, twitter and in your books. As the late Quentin Crisp once said, "Popularity breeds contempt." There are so many ways to measure success that you can be considered insignificant if you measure by one yardstick and important when measured by another. I think a person can consider themselves successful as long as they are earning enough money from doing what they love doing to continue doing it. Fame is just a bonus. I, too, find it amusing & sad that someone has the time to complain to Amazon about such a pointless thing. I'm rather bummed that I won't be able to read your witty comments now. I really appreciate how you're sharing your experiences with us, even if they're not the great successes you dream of. You learn from experience and boy, do you have the experience! I didn't realize Amazon put limits on who could write reviews! That stinks! Though it was nice hearing your back story on being a writer! Did you see that picture? Scott Nicholson is Megamind! @Bev that's funny! Where's my royalty check? @Margay I could hardly be more successful. I am healthy, happy, and doing what I want to do. Money or book sales can't gird my spirit. That comes from the great beyond and the great within. Thanks for the good thoughts and support, everyone, and good luck winning a Kindle! So, yeah, I agree: someone is playing Amazon Cop on us and, since we travel in the same circles, Scott, it’s probably someone we both know. Thems the breaks, I guess, but at the same time, you and I are fortunate because we’re both doing what we love and are making waves because of it. That’s something even an “Amazon Cop” can’t stop. POSSESSION OF THE DEAD and ZOMBIE FIGHT NIGHT (and others) for just TWO BUCKS at the Amazon Kindle store. Grab your copies here! I love this: "All I can do is write the next sentence as best as I can, as truthfully as I can, and hope that it reflects onto you and gives you a little joy or meaning or escape or insight." Some of my reviews have disappeared off of barnes & Noble, and I can assure you I am nobody's wife--ex or otherwise. Well, I say you can't get anywhere without doing something, so props, Mr. Nicholson for doing something. It is amazing to me that some people have nothing better to do than lurk around Amazon to see if authors or author's spouses are submitting reviews for their own books. Maybe he or she wanted to be a police officer when he or she grew up and failed at that, then settled for being an "Amazon Cop". So ridiculous! Wow! It's a little like having your football pool noticed by the casino powers. "Hey! You can't earn money that way without our blessing." Somebody is having fun with Photoshop! Fun pic! Re the Amazon police... let their negative vibes fester with them and never interfere with your joy. You certainly have my support since I almost have all of your books on my Kindle. Wishing you the best with your continued success! The world just amazes me somethings ... some people just have to much time on their hands . . . I'm running Behind again on your tour can't Seam to Keep up. I enjoyed this post; it was quite open and interesting. There's always those people that will try to tear you down, especially when success stars rolling in don't worry about them becasue your "friends" will be there longer. Sounds like you're better grounded than most of the authors out there. Heck, you're better grounded than me. As long as you keep writing and stay true to your art, I think you'll always enjoy a measure of success. The thing I like best about this stage of your career, is that you can write what you want to write and need to write -- and books that have been rejected over a hundred times can be sold to people who love those kinds of stories -- the same kinds of people that the New York gatekeepers . . . er, publishers ignore. I've so enjoyed this tour. I always look forward to what you have to say! By the way, Mystery Guild is still around. I still order from them...sometimes. I can't believe someone ratted you out! I agree with your wife. Some people always try to tear down those who are experiencing success. It's sad really. Off to find more books of yours to buy... I very much enjoy your writing and look forward to reading more. Hi Scott, I am still following you from blog to blog. Thanks everyone, comments here closed at 85. Thanks for hosting, Amy and Jennifer. @Michelle, yeah i still get those solicitations from Mystery Guild. They used to move mountains of books. @innana lying about reviews is a time-tested tradition. Ralph Waldo Emerson used to favorably review his own books under a pen name in newspapers. Thanks, Scott. We had a great time!! Wow,... we are never alone. Someone is always watching.